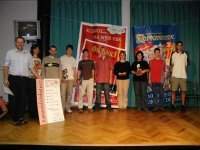 The 0th year of speed-solving 3x3x3 Rubik's cube competition was held at September 11th as part of the 10th Exhibition of Games and Puzzles in Elektra hall of Vltavska Community Center in Prague. Anyone able to solve the Rubik's cube could participate. 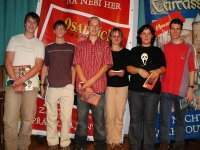 There were 8 competitors entering the competition. 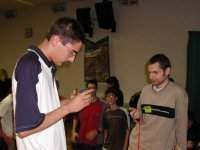 Because of this number there were only two rounds - qualification and final. 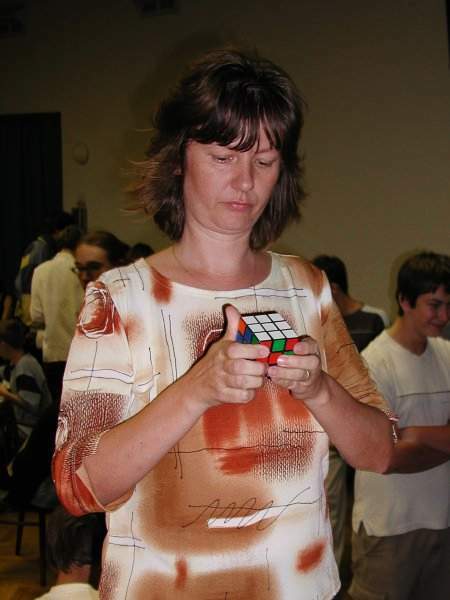 In qualification, radomly selected pairs of cubers competed but only the solving time counted. All cubes were scrambled by the same computer-generated sequence. One pop was allowed in the qualification and was replaced by another attempt. Competitors are watching the preparation phase. Tadeas Miler solving the cube with Josef Jelinek's supervision. Marek Dvorak and Tomas Zadrazil competing with time. 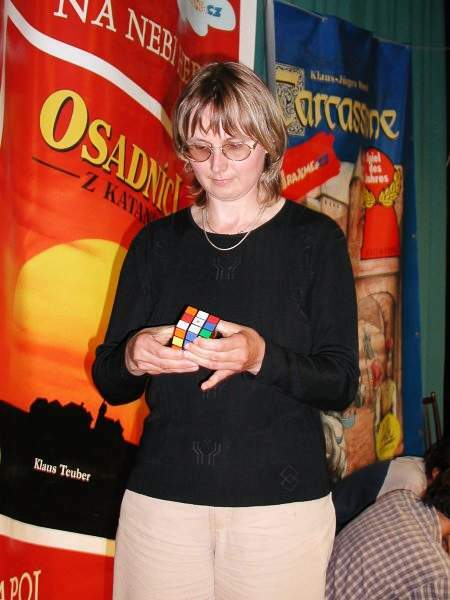 Milada Javurkova focused on the cube in order to reach the best time. 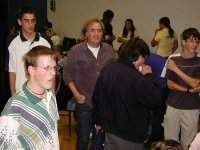 The competition was also watched by William Strijbos ( with the purple shirt ). Irena Militka thinking about the next turn. 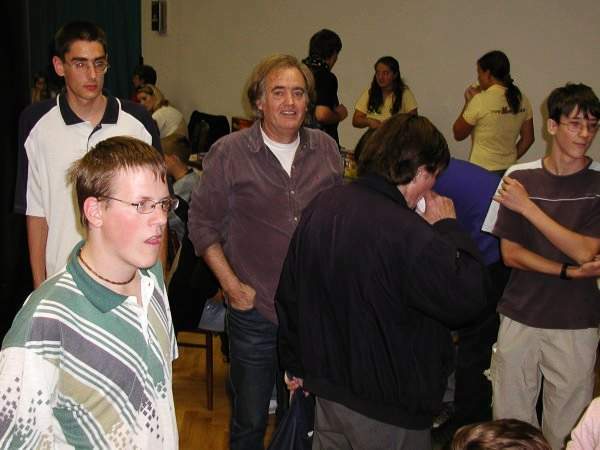 According to the time reached in the qualification, part of the competitors were divided into two groups competing for the 1st to 3rd and 4th to 6th place. No pop was allowed in the final, whith was bad for Patrik Desensky (best average times from the participants), who was slowed because of a pop. 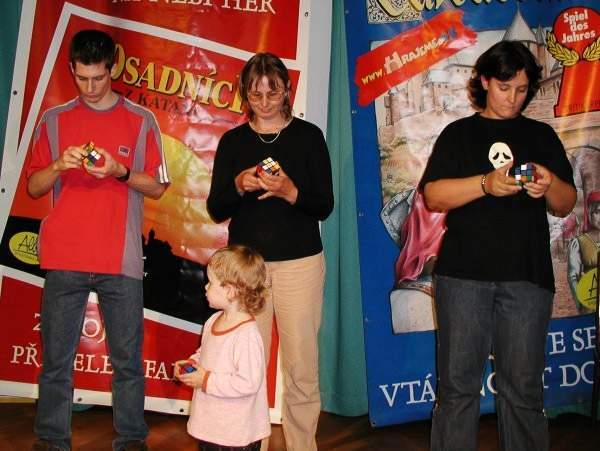 Left to right: Tomas Zadrazil, Milada Javurkova, and Petra Uhlirova. 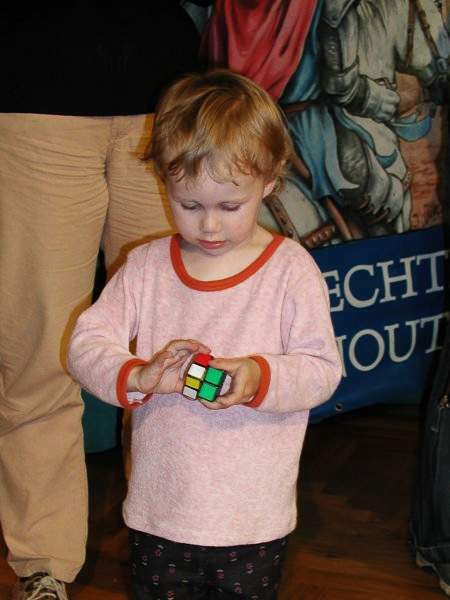 Daughter of Milada Javurkova is interested in the cube from her early years. 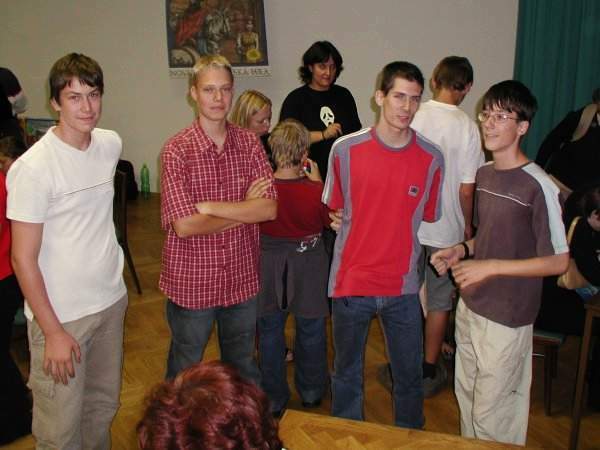 Left to right: Marek Dvorak, Patrik Desensky, and Jakub Zadrazil. 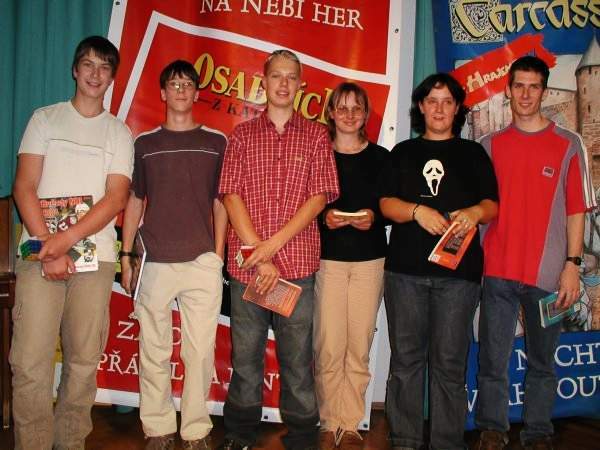 Six final competitors - Left to right: Marek Dvorak, Jakub Zadrazil, Patrik Desensky, Milada Javurkova, Petra Uhlirova, and Tomas Zadrazil. Organizing comitee and competitor group photo. 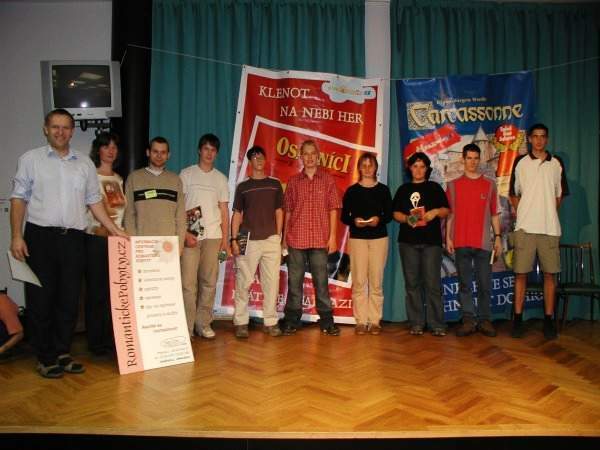 Left to right: Jaroslav Flejberk (exhibition organizer assistant), Irena Militka, Josef Jelinek (competition co-organizer, scrambler, and timer), first six competitors, Tadeas Miler.